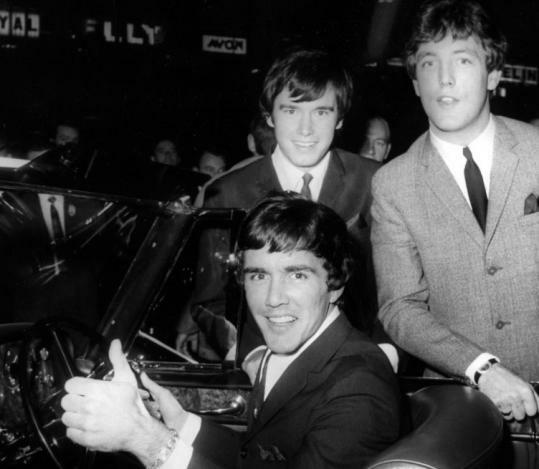 LONDON - Dave Clark Five lead singer Mike Smith died of pneumonia yesterday, less than two weeks before the band was to be inducted into the Rock and Roll Hall of Fame. He was 64. Mr. Smith died at a hospital outside of London, his agent Margo Lewis said. He was admitted to the intensive care unit Wednesday with a chest infection, a complication from a spinal cord injury that left him paralyzed below the ribcage with limited use of his upper body. Lewis said he was injured when he fell from a fence at his home in Spain in September 2003. Mr. Smith had been in the hospital since the accident and was just released in December, when he moved into a specially prepared home near the hospital with his wife. "These last five years were extremely difficult for Mike. I am incredibly saddened to lose him, his energy and his humor, but I am comforted by the fact that he had the chance to spend his final months and days at home with his loving wife, Charlie," Lewis said. Mr. Smith wrote songs, sang, and played keyboards for the Dave Clark Five, one of the most successful of the British rock acts whose music swept across the United States in the 1960s, a musical and cultural phenomenon dubbed the British Invasion. The Dave Clark Five claimed a string of US hits, including "Because," "Glad All Over," and "I Like it Like That." By 1966, the band had made 12 appearances on "The Ed Sullivan Show," then a record for any British group. The group's antics were captured in John Boorman's 1965 documentary "Catch Us If You Can," which followed Mr. Smith and his band mates through the English city of Bristol. While the group - which broke up in 1970 - was named after him, Dave Clark himself was the drummer. The group is going to be inducted in the rock hall on March 10, a ceremony Mr. Smith was trying to attend, Lewis said. "We're very unhappy about the whole situation - it's sad," Rock and Roll Hall of Fame president Joel Peresman said. He said the ceremony would go ahead as planned but there would be "a little extra significance this year." Said Lewis: "He was extremely excited and honored to have been inducted . . . and I am glad that he will be remembered as a hall of famer, because he was in so many ways." Mr. Smith leaves his wife, Arlene, who is nicknamed Charlie.